When it comes to headphones, not all are suitable for bass instruments. Many may sound good for music but plug them into the headphone jack of a bass amp and you will soon find their limitations. PJB H-850 headphones are a result of years of auditioning headphones for this purpose and analyzing the mechanisms of what works for the reproduction of music and bass. 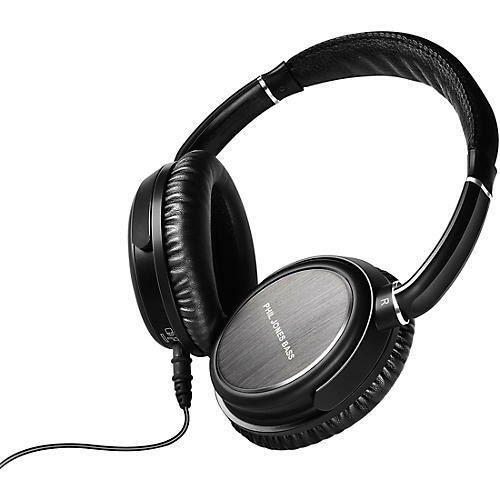 Utilizing high power 40mm neodymium magnets and closed back acoustic loading, these headphones able to achieve superb sound reproduction for both music and bass instruments. These headphones are lightweight and therefore can be worn for hours with comfort. They have superb acoustic isolation from external noise and headphone bleed through for recording application.